“The Witch” is a scary film. Not necessarily because of the witch in the film, although she is quite creepy and disturbing, but because of the hold it has on us as we watch it. This atmospheric and moody film is the directorial debut of writer/director Robert Eggers and it’s not just unsettling and disturbing – it also has an unforgettable aura about it that will leave an indelible mark on a viewer’s psyche. It relies on what we don’t see and hear as much as what we do and will definitely prompt discussions of the penchant for paranoia and obsessiveness in both family and religion. “The Witch” is a 17th century period piece, taking place in early 1600’s New England, years before the Salem witch trials. It opens on a Puritan plantation in Massachusetts, where a family of five is being cast out for reasons that are unclear, but it appears the father of the family, William (Ralph Ineson, “Harry Potter and the Deathly Hallows 1 & 2”), will not conform to certain religious principles. He loads his family – consisting of wife Katherine (Kate Dickie, “Game of Thrones”) and their children: infant Samuel, fraternal twins, Mercy (Ellie Grainger) and Jonas (Lucas Dawson), preteen son, Caleb (Harvey Scrimshaw) and their oldest, Thomasin (Ann Taylor-Joy), a teenager who watches over her siblings – in their wagon and settles on some land next to a dense and ominous forest. Time passes and the family manages to live off the land they’ve cultivated as well as the resources provided by their cow and their goat, Black Phillip. Then one day the baby disappears while in the care of Thomasin, which triggers heightened emotions of doubt and accusation as a dark feeling of dread and evil pervades the tone and feel of the story. The baby’s disappearance is just the start of the family’s dismantling. Crops wind up withered and dead, William and Caleb have no luck at hunting and soon they’ll be in danger of starving. Such pressure finds the parents are on a short fuse, with William deeply frustrated at their situation and Katherine burrowing herself in sorrow, praying for the Lord to deliver their missing child. But we already know what happened to their baby and yes, it involves a witch who lives in the nearby woods. This is that kind of film, where the audience knows more than the characters in the film, something that’s quite common in horror films, designed to unnerve viewers before or more than the characters they are watching. It’s a knowledge that makes watching the family unravel amid finger-pointing of witchcraft and claims of curses a wholly absorbing and effective viewing experience. Although, what Eggers shows us is more than what the family knows, there is certainly a shroud of mystery involving the titular antagonist. As the family struggles to remain together and hold to their devout faith, more devastation occurs as a shadow of true evil casts over them, increasing their doubts and fears. Suspicious events and sibling accusations point to Thomasin being a witch as family paranoia spreads like the plague. Clearly, the witch in “The Witch” is putting her finger on a wound that is already there, slowly building under the surface of this family unit. William is already struggling to makes ends meet, while Katherine tries to remain faithful in the Lord, but skepticism of her husband’s decision and the loss of her baby is making it a challenge. As this bizarre and unnerving tale unfolds, what stands out the most is the deliberate look and feel of the film. 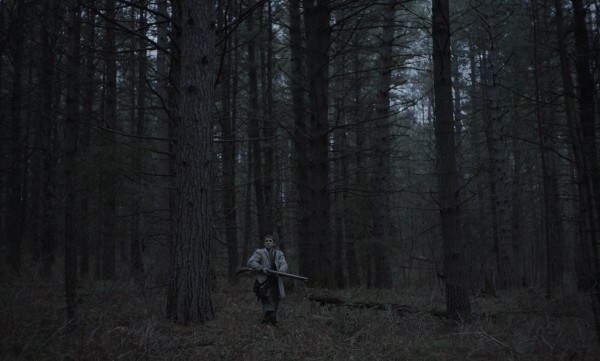 Eggers grew up in New Hampshire, where he heard stories of witches as he grew up, making this film something of an outlet for his interest in such history and maybe even catharsis for the writer/director, whose previous experience was in production design. It’s no wonder then how much detail Eggers spent in making this a period accurate film, employing the same tools used back then to build the set pieces here as well as using the same stitching and patterns from the 17th century. Will the audience know that while watching? It’s doubtful, since that’s something you learn while reading up on the film after viewing, but nevertheless, it makes sense considering how authentic the film looks. To match the bleak tone of the film, Eggers and cinematographer Jarin Blaschke, drain the film’s palette of any vivid colors, painting the film with the earth tones that come in an environment void of electricity, using only the yellow-orange glow of fire and lanterns with shadows looming near the characters in the film like specters. 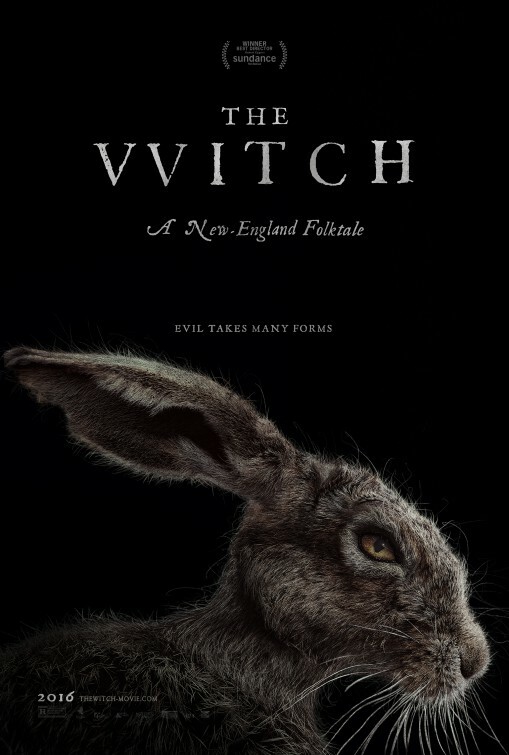 As a writer, Eggers dives right in with “The Witch”, introducing viewers to the distinctive family and their Old English speech, thankfully excluding any kind of exposition – she’s into showing rather than telling. Such an approach may be too much or too little for some, but I had no problem with how certain actions and revelations are revealed. I especially liked the way the characterization for Taylor-Joy’s Thomasin is handled. She has a certain loyalty to her family, but there’s also an independence within her and a curiosity for what is outside her inclusive family unit. There are not-so-subtle hints that Thomasin’s unassuming sexuality is noticed by both her brother (who is catches peaks at her cleavage when he can) and her mother (whose paranoia is leading her to believe that Thomasin is some kind of evil harlot). As a central part of the story to “The Witch”, it’s important that Eggers has the audience think twice about Thomasin, yet not paint her toward as a back or white character and he and Taylor-Joy succeed by providing viewers with a portrayal that has us easily invested, but also doubting our perception of who this girl is. As a director, he makes both night and day shots equally eerie and exudes quite a Kubrickian vibe to his mise-en-scene, making almost every frame feel like a page in a book of etchings from the mysterious time frame the film is set in. It’s easy to make audiences jump in a horror film, but getting them invested and curious about the world you’ve built for your film – something that really stays with a viewer – is a rarity, yet Eggers accomplishes that here. The palpable dread and terror of “The Witch” is impressive, but even moreso for a feature-length directorial debut. The sound of the film is also very distinctive and peculiar, from the frightening sound design by Adam Stein to the equally unsettling score by composer Mark Korven. The last time I noticed a film with such an evocative sound – one that matches the tone of the story so well – was the first time I watched Jonathan Glazer’s “Under the Skin”. 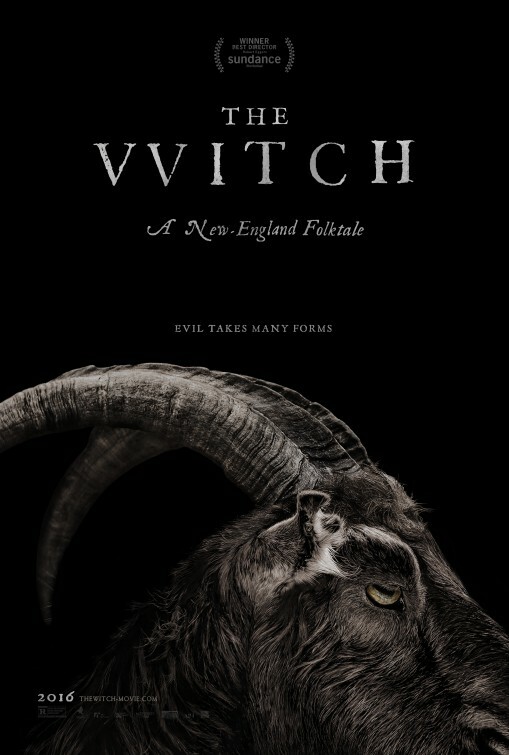 Come to think of it, “The Witch” is just as atmospheric, unnerving and thought-provoking as Jonathan Glazer’s “Under the Skin” and both have an interesting and vastly different look at the seductive threat and possible villainy of the female protagonist/antagonist. Like Glazer’s film, there’s a certain Kubrickian feel to “The Witch” in the way certain shots linger and are lit, but there’s also a present chill and tension present reminiscent of “The Shining”. Eggers’ a film that definitely found me squirming in my seat just as much as the classic Kubrick film has in the past. Like many of the best recent horror films such as “It Follows” and “The Babadook” (both also include female leads), the less you know going in to “The Witch”, the better – although unlike those two films, I’m not too sure how quickly I’d return for second viewings. That’s how scary it was for me.